Listed below are the official statement releases from the office of Syedna Fakhruddin TUS. They have all been distributed widely to various newspapers and magazines. They are posted here again for reference. His Holiness Syedna Taher Fakhruddin Saheb TUS, head of the Dawoodi Bohra community, strongly condemns the inhumane and horrific attacks resulting in the loss of innocent lives in Christchurch, New Zealand. Syedna Fakhruddin Saheb calls upon all people to unite against those who espouse violence and intolerant ideologies to justify such atrocities. Syedna Fakhruddin Saheb strongly condemns this act and all acts of terrorism. 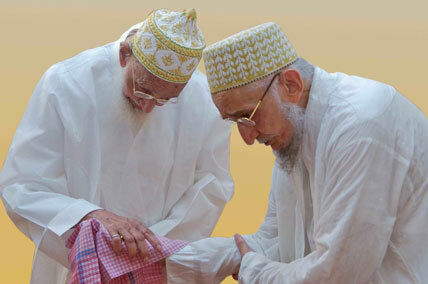 Syedna Fakhruddin Saheb sends prayers for strength to the victims’ families and to the mourning nation of New Zealand.